February is here – and so is the weekend (almost). 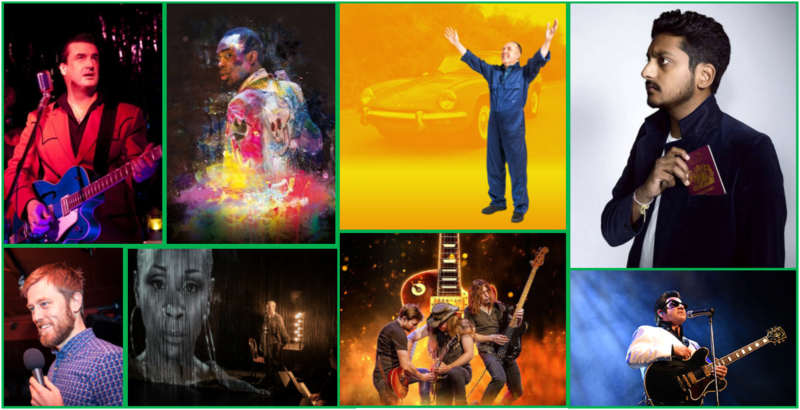 Lovers of music, comedy and theatre are spoiled for choice in and around Manchester this weekend as a number of tantalising productions roll into town. 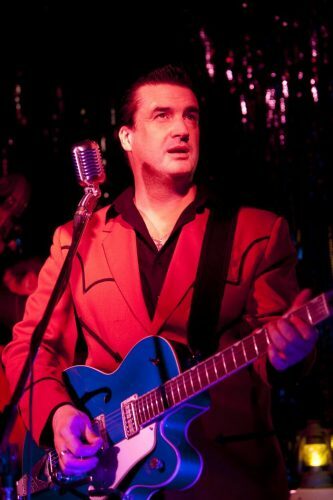 Altrincham’s hidden gem and South Manchester’s premier music venue, The Cinnamon Club, is the place to be for music lovers this Friday evening as regular favourites Dominic Halpin and The Honey B’s return for another night of swing, jive, cha cha and more. The Club boasts the biggest dedicated sprung dance floor in Manchester and Cheshire, so it’s the perfect place to dance the night away and begin your weekend in style. 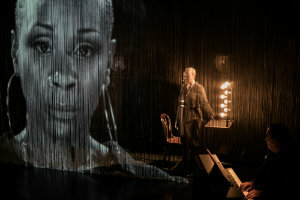 There’s more superb music over at Salford Quays as Nina: A Story About Me and Nina Simone concludes its run at The Lowry on Friday and Saturday evening. This incredible show is performed with a live band and explores Josette Bushell-Mingo’s powerful connection to the legendary artist and activist. A searing and soulful theatre piece, Nina finds a parallel with the persisting inequality in today’s society, and questions how far we’ve really come. 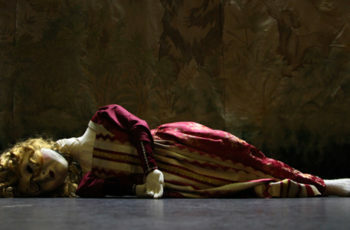 This weekend is also the last chance to catch the Royal Shakespeare Company’s stunning new production of Hamlet, which has been garnering rave reviews at The Lowry this week. 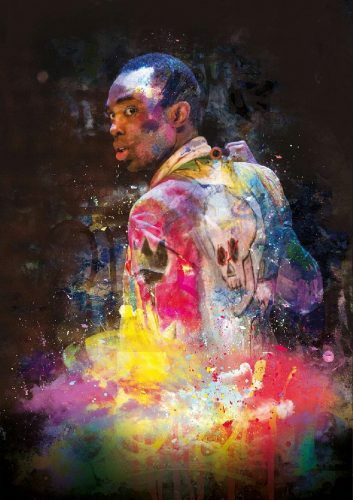 Paapa Essiedu plays the title role in a riveting and contemporary take on Shakespeare’s searing tragedy of murder and revenge. For something a little different, try Things I Say When I Don’t Say I Love You, a new one-man play from award-winning writer and performer, Sam Brady which plays The Lowry Studio on Friday evening. When Tommy is diagnosed with Alzheimer’s, his son and grandson agree to help him fulfil his life’s dream to restore a vintage car. But amid stripped engines, rusted metal and frayed tempers, the three men discover that piecing together the past can have unexpected consequences. If the weekend calls for timeless rock and pop music, The Classic Rock Show promises a thunderous show on Sunday evening. 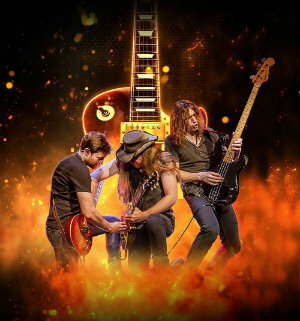 The blistering set pays tribute tothe likes of Jimi Hendrix, Jimmy Page, Mark Knopfler, Walter Becker, Eric Clapton, Angus Young, Brian May, Joe Walsh, Paul Kossoff, Peter Green and Pete Townsend. Expect hit after hit on this electrifying musical journey. 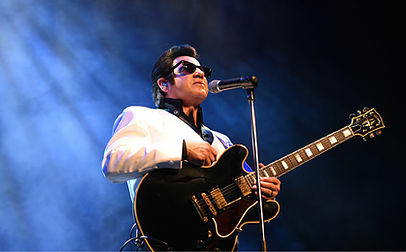 There’s no shortage of hits at Stockport Plaza either, as the excellent Barry Steele and Friends continue their nationwide tour celebrating thirty years in the business as a phenomenal tribute to the legendary Roy Orbison. The production observes not only the musical legacy of The Big O and The Traveling Wilburys, but also features chart busting hits originally made famous by George Harrison, Chris Isaak, The Spencer Davis Group, Jeff Lynne and Del Shannon. Fairport Convention are credited with originating British folk-rock music and have been performing for over fifty years. Back in Salford for another year this Sunday, Fairport Convention features Simon Nicol on guitar and vocals, Dave Pegg on bass guitar, Chris Leslie on fiddle, mandolin and vocals, Ric Sanders on violin and Gerry Conway on drums and percussion. 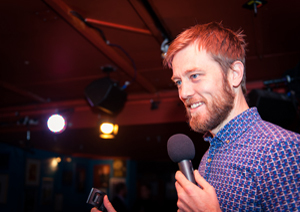 For comedy fans, Northern favourite Alun Cochrane has added an extra show at The Lowry on Sunday afternoon. Described as a “grumpy-joyful, silly-serious stand-up,” Alun is known for his weekly appearances on Absolute Radio’s The Frank Skinner Show as well as multiple critically-acclaimed solo shows. Edinburgh Comedy Award nominee for Best Show Ahir Shah takes to the same stage on Saturday evening, exploring the current global socio-political turmoil in a show about freedom, fascism, history, hope, and resistance.